This quiz is intended to introduce you to concepts and certain important facts relevant to UPSC IAS civil services preliminary exam 2016. It is not a test of your knowledge. If you score less, please do not mind. Read again sources provided and try to remember better. There will be a uniform premium of only 2% to be paid by farmers for all Kharif crops. It provides for localised risk coverage which includes losses arising out of hail storms, land slides and inundation. Modified form of Q96, CS(P) 2016. According to him, one of the best means of attaining salvation was through intense devotion to Vishnu. He helped spread Shankaracharya’s doctrine of oneness of the individual soul and the Supreme God. Page 107, Our Pasts – II, Class 7, NCERT: Ramanuja, born in Tamil Nadu in the eleventh century, was deeply influenced by the Alvars. According to him the best means of attaining salvation was through intense devotion to Vishnu. He propounded the doctrine of Vishishtadvaita or qualified oneness in that the soul even when united with the Supreme God remained distinct. Ramanuja’s doctrine greatly inspired the new strand of bhakti which developed in north India subsequently. 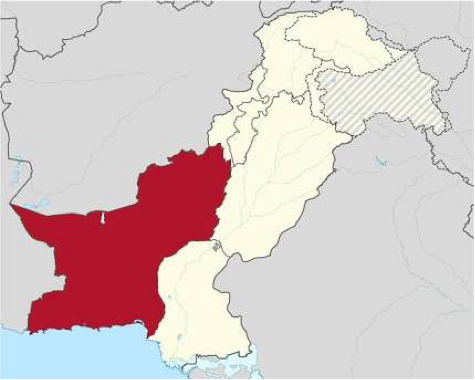 Balochistan province borders which of the following nations? Next story 1) Recently, a committee of experts, appointed by the National Green Tribunal (NGT) to assess the damage caused to the Yamuna floodplain in Delhi where the World Culture Festival was held, has found that the event has extensively damaged Yamuna floodplain. Critically examine how such religious or spiritual congregations affect ecology of regions where such events are held.